Why See Turtle Island Quartet? 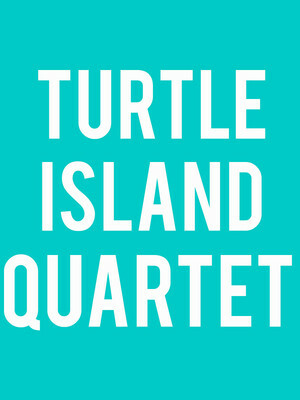 Turtle Island Quartet are known for perfectly fusing together rock, classical and jazz music to create their unique and signature sound. Ever experimental, the group also delve into the genres of R&B, funk, swing, bluegrass, and hip hop. The band was created in 1985 by David Balakrishnan, Darol Anger, and Mark Summer, and after releasing their first album in 1988, the group have enjoyed many successes. They have worked with well known and talented musicians including Paquito D'Rivera, the Manhattan Transfer, Ramsey Lewis, and Billy Taylor. 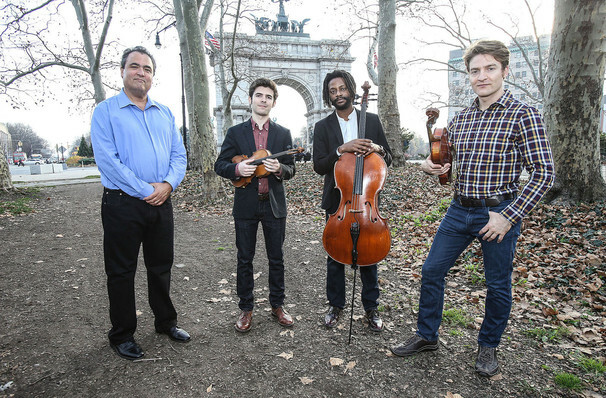 Turtle Island Quartet have received the Grammy Award for Best Classical Crossover Album in 2005, and then again in 2007, cementing their status as an exciting and original group of musicians. This night is not to be missed! Sound good to you? Share this page on social media and let your friends know about Turtle Island Quartet at Gates Concert Hall. Please note: The term Gates Concert Hall and/or Turtle Island Quartet as well as all associated graphics, logos, and/or other trademarks, tradenames or copyrights are the property of the Gates Concert Hall and/or Turtle Island Quartet and are used herein for factual descriptive purposes only. We are in no way associated with or authorized by the Gates Concert Hall and/or Turtle Island Quartet and neither that entity nor any of its affiliates have licensed or endorsed us to sell tickets, goods and or services in conjunction with their events.